We all “lose it” at times but uncontrolled anger can be aggressive, causing violence, destructive behavior and affect our relationships. Anger is a primary, negative emotion, one of the base emotions which we probably all feel at some point in our lives. Sometimes it is an understandable response to an event whilst at other times it is an exaggerated response, totally out of proportion to the cause. Any form of behavior, good or bad, is learned from others during our formative years, particularly the imprint period from 0-7 years. All of our values, beliefs and behaviours are learned during this important time, hence the Jesuit saying, “Give me a seven year old boy and I will show you the man”. In a state of anger, the person may be impatient, aggressive and hostile. It is always a self-centred behavior displayed without thought of the impact on others. It may be verbal, physical or both. Anger as a behavior can be deeply buried causing the person to feel self-hate and depression, even suicidal if they feel that they are a bad person, a negative part of society. Physically, the body reacts in anger with an increased respiratory rate, pulse rate and sends blood to the muscles that cause the bones to move, hence the sometimes involuntary assaults. It constricts the pupils of the eyes and pumps hormones from the adrenal gland, causing stress rashes, high blood pressure and other stress induced disorders. The person may be a typical "Type A" aggressive personality. The best way to manage anger is to recognize and deal with it in a positive way, starting with taking responsibility for the negative behavior, negotiating, taking time out, hitting a punch bag or pillow if necessary. That is much better than shouting at the kids, kicking the cat or taking a swipe at your wife. Alcohol may seem to help by numbing reaction but that is only masking the problem and continued use for coping will just lead to an alcohol dependency problem, making the anger and aggression far worse. The angry person may believe that their behavior is justified and appropriate. Everyone else is at fault. They will relive the moment over and over, telling you with drama why the other party victimized them, went out of their way to make life difficult. Such beliefs can lead to paranoia that others are deliberately “out to get them”. Different therapies have different approaches including recognizing how anger is used as an ego defence mechanism, one of several identified by Freud; finding ways to avoid people and situations which are making the person angry; develop communication skills or find and correct distorted ideas about life and others. Firstly, the person must be aware of the distinction between cause and effect. Is he the cause of the problem or the receiver and therefore the effect? Is he the aggressor or the victim? Can he react in a different way so that the aggressor’s hostile behavior is diffused, leaving no call for an angry reaction? If the root of the anger is someone else’s behavior in the past, particularly neglect, mis-treatment, abuse, violence or sexual abuse, can the person find forgiveness? Oprah Winfrey reported that she was molested by her cousin, her uncle and a family friend, starting when she was nine years old. Such a history could have caused her to display a victim personality, blaming her past for her failure. Instead Oprah’s positive role models in her life encouraged her to take a different path and she is now the “effect” in millions of people’s lives around the world. Healing through forgiveness, even prayer, may take time but will be life-changing. So for some people seeking anger management, finding forgiveness may be necessary. For others, regression under hypnosis to find the root cause may help to release negative emotion. It may be a traumatic event which is consciously remembered or not or it could be living in a family where anger was frequently displayed, whether against the child or not. Children learn by example so may have modelled inappropriate behaviour. The person may feel there is something they cannot communicate which is causing frustration. This frustration may have been building for years. Use of the Gestalt “Empty Chair” method involves imagining a third party sitting on a chair and telling them what has been pent up for years. This can be done under hypnotic trance, in an associated or disassociated way, to release years of frustration. Direct suggestion under hypnosis of reacting to trigger situations in a more appropriate, non-aggressive way can help. A professional script for hypnotherapists treating anger is available. NLP can be applied using parts therapy, asking one part of the person to help the other part of the person to react in a more appropriate way. Or changing the behaviour using the Swish technique. Ericksonian Hypnosis would offer indirect suggestions and tell appropriate metaphors such as the one on page 85 of Hypnotherapy Scripts: A Neo-Ericksonian Approach to Persuasive Healing about a car which has been damaged. There are different approaches to treating anger which do not have to be traumatic, bringing the old negative feelings to the fore. Everyone is different, of course, so requires different personalized approaches. However, inappropriate anger can be released and make a huge difference to your daily behaviour. It is certainly worthwhile finding a competent hypnotherapist to help you with the healing. 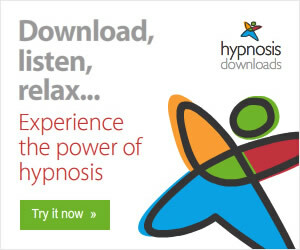 A general download hypnosis mp3 for anger management is available. I love to help people use the power of hypnosis in both everyday life and therapeutically. As a professional hypnotherapist, I am always interested to learn new techniques and ideas from fellow professionals around the world. I visit their sites, read their blogs and look at the products they are offering people to use at home. One subject that fascinates people is conversational,everyday hypnosis. That's why Steve G Jones has developed an amazing 18 module system to give you almost-absolute control in everyday situations. Imagine if you could induce hypnosis in anyone while speaking to them... and it's not a rocket science. However there are two limiting factors. An individual must have an IQ of at least 90. In other words, the person is not extremely stupid (so forget hypnotizing your dog). This system will show you how to master everyday hypnosis... and there is even word-by-word scripts to make sure there is no misunderstanding. That you promise to use it ethically. As hypnosis of that degree in unethical hands could mean a disaster and Steve does not want to be held responsible for such thing. It is like a weapon. So Steve is carefully selecting who can have access. Check out the website to see if you qualify. ** How to use one little-known routine to make an outstanding, charming first impression. ** How to close almost any deal for as long as there is even a slightest interest in your offer (and quick-test to find that out on Module 6). ** How to calm down aggressive people and demand their attention. On Module 8. ** How to induce amnesia - Extremely powerful one - Module 9. 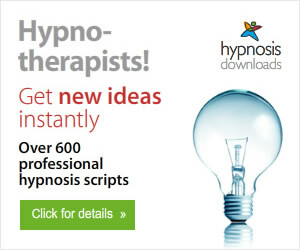 Best of all, you can discover these and dozens of other proven and powerful hypnosis techniques for very little money. P.S. There's no risk. If you aren't 100% delighted with the techniques... if you don't realize their potential INSTANTLY, just let Steve know within 60 days. He willl promptly refund your money and you can keep the entire System with his compliments! That way, he takes all the risk and you can't lose! Antonia Harrison is the English Hypnotherapist & NLP Practitioner in Belgium , using Trance and Neuro Linguistics to effect fast positive change in people's lives. People often ask where they can find effective, short-term and affordable professional training in hypnotherapy. Here is one possibility of a course which will be held in April, July or November 2009 in Toronto, Canada by Peggy Kelly. It is the NGH Approved Banyan Hypnosis Certification Super Course. • Those who want career advancement (part or full-time) and who would like to work with people in a private professional practice of their own. • Individuals in the helping professions that would like to add the ability to use hypnosis as one of their therapeutic tools or interventions. • Everyone interested in learning Hypnosis and Self-Hypnosis for self improvement and programs which can be applied to private or corporate clients. When you train as a 5-PATH® Hypnotherapist (or Hypnotist) you become part of the National Guild of Hypnotists (NGH) which is the world's largest and oldest hypnosis organization and you become certified in 5-PATH® advanced therapeutic hypnosis. The programme is very comprehensive from a full explanation of the working model of the mind, including unconscious, subconscious, conscious and critical factors. Students then learn how to prepare for a hypnotherapy session, progressive relaxation and rapid inductions, writing hypnosis scripts, testing for depth of trance and deepening trance through to advanced techniques such as regression, analgesia and anaesthesia, hypnotic forgiveness therapies (also called chair therapy) and Parts Integration which is really an NLP technique. It also includes plenty of business and marketing advice to give you the best chance of setting up a successful hypnotherapy practice, including working with the medical profession to obtain referrals. You will learn how to work with clients on changing habits, working with addictions, weight loss, smoking cessation, fears/phobias, eating disorders and psychosomatic illness. You are going to eat, drink and sleep hypnosis for 10 days. There will be plenty of opportunity to practice self-hypnosis, hypnosis on others and experience hypnosis with the instructor. Starting with the fundamentals and assuming no prior knowledge, this course quickly moves on to more advanced areas. It includes 7th Path Self-Hypnosis®, a mind-body-spirit approach developed by Mr. Banyan. This really helps to remove blockages to success. Visit the NGH Approved Banyan Hypnosis Certification Super Course website. Training Schedule for Banyan Hypnosis Center for Training & Services, Inc.